Eric Jackson is a star on the mountain and a force to be reckoned with on the water, so it’s no surprise that SPY Optics would make his own signature sunglasses for the best of everything outdoors. As a pro snowboarder, Eric relies on SPY’s goggles every day and when he’s not on the mountain, he’s on the water fishing where he needs his SPY Hunt Sunglasses. The most versatile frames that SPY has to offer come with the Hunt glasses. The new Ejack Hunt sunglasses are the only SPY sunglasses to have Happy Lens Technology in the new Trident polarized Rose base lens with the awesome Green/Gold Spectra mirror coating. What that means is that you can look great while fishing all day and your eyes are not going to give you any trouble. Any serious angler knows that you need the best in polarization for fly fishing and Eric Jackson is no exception. The lenses in the SPY Ejack Hunt sunglasses enhance clarity, definition and color during mid day fishing or early mornings. SPY’s Hunt sunglasses feature a frame that is comfortable and stylish. The molded grips are not glued so you don’t have to worry about anything falling apart. They fit perfect to your head and won’t fall off with a quick movement and they are very lightweight. On top of that, you can bend them, sit on them and they offer pin hinges that add durability in case you shove them in a tight space. Having a good pair of polarized fishing sunglasses is the most important piece of equipment for a serious angler. SPY’s Ejack Hunt model gives you everything you need to stay on the water longer and see the fish you’re hitting with that dry fly from further upstream. 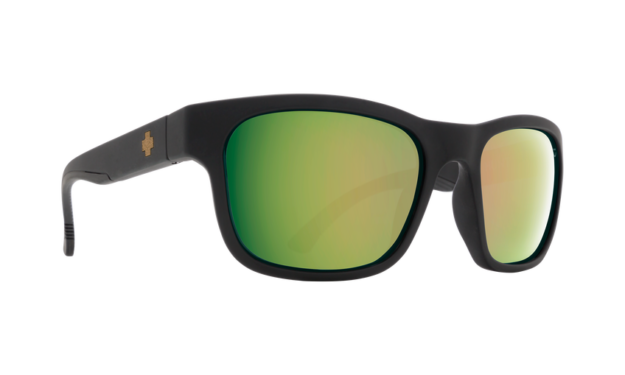 Snag a pair of the new Ejack Hunt sunglasses here on SPY’s website and check out more SPY Optics sunglasses reviews.